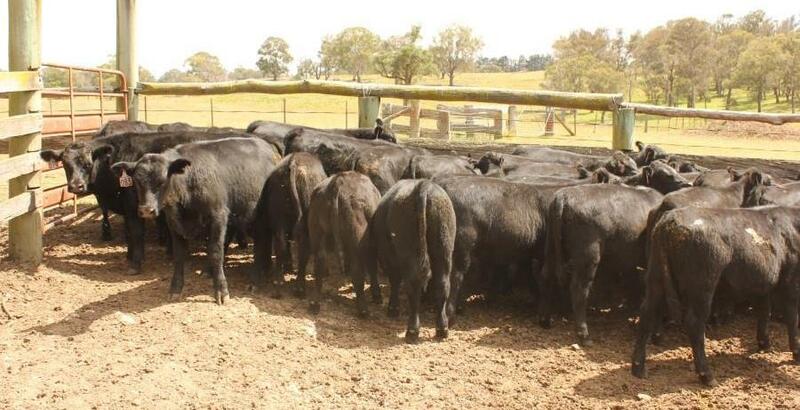 Wongwibinda Pastoral Co from Wongwibinda, NSW offered 259 weaned Angus steers over three lots. The heavier steers aged 5-7 months, grassfed eligible, sold for 308c/kg or $620. BUYER confidence on AuctionsPlus spiked this week, achieving an overall clearance of 85 percent, which can be attributed to recent falls and more rain forecast for parts of Queensland. Buyers were particularly active in the Southern and Western parts of the state. 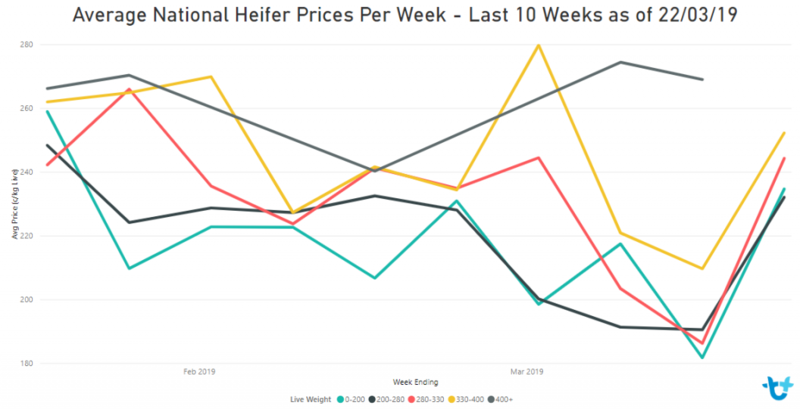 Heifer prices rose sharply in all weight categories, while young steer prices were mostly down. Cattle numbers this week remained steady for a total offering of 13,663 head, with the majority of listings coming out of Queensland and New South Wales. Listings were boosted by the Australian Agricultural Co’s surplus steer sale (see Friday’s report) which catalogued 5196 head for 100pc clearance, topping at 308c/kg. Joined and PTIC female numbers decreased significantly this week to total 1519 head, down 1326 head on last. PTIC heifers sold from $630 to $1000 and averaged $837, while PTIC cows sold from $660 to $1475 and averaged $1002, down $40 on last week. The top price was for two lines of six year old EU-accredited Te Mania bloodline Angus cows offered by Lakala Pastoral, Mumbannar, VIC. Listed in the same sale, Longford Angus, Armidale, NSW offered 87 PTIC Angus heifers 18-19 months which sold for $1000. Cow and calf units decreased by 544 head this week, to total 712 head, with decent listings coming out of Queensland. Prices ranged from $830 to $1610 and averaged $1052. Top price went to a line of second-calvers from Crookwell, NSW, PTIC back to Angus bulls, and with calves at foot averaging 153kg. A small line of Blonde Aquitaine x Red Angus heifers with Red Angus sired calves at foot from Carboor, VIC which made $1260. This week’s weaner & yearling sale saw 6051 head listed. Buyers were confident with overall clearance rates improving to 88pc. Yearling and grown steers achieved 100pc, while yearling and grown heifers achieved 89pc. Numbers were boosted by 447 weaner steers and heifers offered by Watermark Pastoral Co, Dingo, QLD. The same vendor also had 162 backgrounder heifers in the sale. The heavier weaner steers in the offering, averaging 187kg, sold for 278c/kg or $520. The heavier weaner heifers, averaging 171kg, sold for 204c/kg or $350. The Australian Agricultural Co surplus steer sale on Friday interfaced on AuctionsPlus from Longreach Saleyards saw 5196 Barkly composites offered over 55 lots, of which 40 attracted online activity and 17 lots were purchased by bidders online. Steers averaging under 250kg sold from 274c/kg to 300c/kg to average 286c/kg. Steers weighing 250-300kg sold from 282c to 302c/kg to average 294c/kg. The heaviest steers offered for the day averaged 300-350kg, and sold from 274c to 308c/kg and averaged 289c/kg. Two hundred registered bidders logged into the sale and 361 online bids were placed.